"Maehara Hiroto," you called his name in a bored tone his eyes sparkled as he heard you. 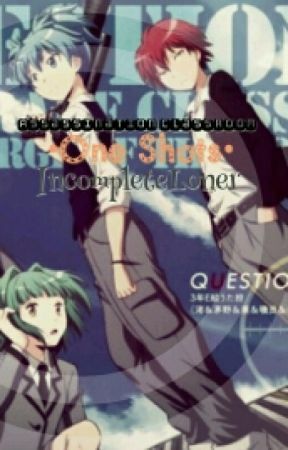 You were eating your lunch on the top of a large rock but you noticed Maehara who followed you got lost you jump down then he turn around. "(First name)-san~!" He was about to hug you but you quickly turn left to avoid letting him fall. "Ouch, (first name)" you sit down at his side while he tried to get up. "Help mee~" he lend his hand to you. You just roll your eyes but then help him then. You stand up as you help him get up after you got him up he didn&apos;t let go of your hand instead, he pulls you to hug him. You have no reaction at what he did like you don&apos;t even care. "Why did you hug me?" "Because I love you~" he cheerfully said still not letting you go. "You have a lot of girls that you loved. Let me go I&apos;m not one of them.." You push him then he smiled. "Well.. I&apos;m not that kind of person now." "Just now right?" You face him with your usual poker face. "Nope.. For you~" he was about to hug you again, but thankfully you notice Nakamura-san and she suddenly grab your hand as expected and get you away from him. "I won&apos;t let a pervert steal our precious!" 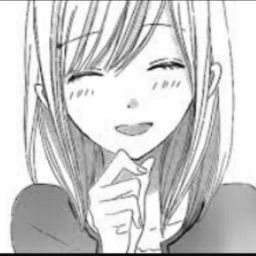 She yell at Hiroto then an unexpected warm smile forms to his face which made you blush. You look away letting them argue as you control your mixed feelings. &apos;This feels.. Weird.&apos; You thought as they continue to argue. You let her hand go and leave them alone. Megu and the other girls who hide themselves in the bush noticed you. "(Last name)-san~!" The whisper to call you. You silently walk through them and they smile. "What are you guys doing here?" You ask with your usual bored face. "Stalking them.."
"They sometimes argue a lot, bullied each others and we kinda feel there is something on them," Touka said as she evilly smirk. "I ship them," she added. You just nodded and a weird feeling just hit your heart. You put your hands on your chest feeling the heartbeat as you watch Hiroto and Rio argue. "I gotta go.." You face them with a forceful smile then their eyes widen. "Y-you&apos;ve never smile (last name)- San, are you okay?" You nodded to Hara. "Ehem, ehem.. Someone is jealous!~" Fuwa teased but you just look at her with a poker face. "She&apos;s too innocent!!" They beamed then all of a sudden Hiroto and Rio was in front of you. "Innocent of what?" "What are you guys talking about?" Hiroto asks. "Well,well,well.. Girly stuffs!" Megu said as she sweat dropped. "Here in bushes?" Nakamura said with a deadly glare at them.